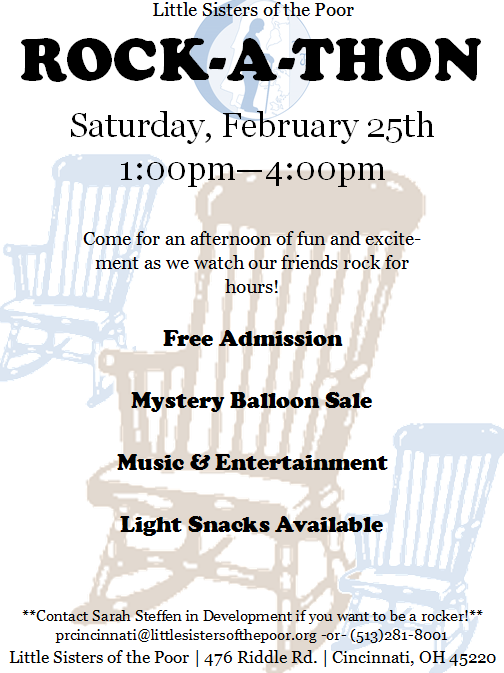 Join us for the first ever Rock-A-Thon at St. Paul’s Home. You can raise funds to be a rocker or make a team of rockers for the event. Pre-register by February 17 by completing this form. Contact Sarah Steffen at prcincinnati@littlesistersofthepoor.org or call at (513)281-8001 for more information.